This short video will show you how easy it is to set up the Wonderware Historian to collect data from any Wonderware InTouch tag. Then we will show how you can quickly add a trend plot to an InTouch application -- giving your operators greater visibility into your processes and helping improve operator effectiveness. 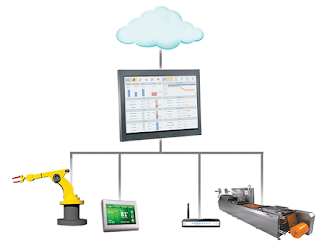 Wonderware InTouch is an open and extensible solution that enables the rapid creation of standardized, reusable visualization and HMI applications with deployment across an entire enterprise. Wonderware Historian is a high speed database capable of capturing high resolution data from industrial equipment and processes. Data from Historian can be used for troubleshooting, process or equipment optimization, regulatory compliance, resolving warranty issues and much more. Wonderware Historian is offered as a traditional standalone solution, or on a yearly subscription basis for the highest level of flexibility. Our subscription offering combines data historization, trend analysis and mobile reporting capabilities into a single, easy to implement information solution. Regardless, of the type of Wonderware Historian you choose, the information delivered will help you manage your installed base more efficiently while helping your clients gain the highest level of value from your products. Wonderware Historian can lower your costs, improve customer satisfaction and gain an important competitive advantage for your company.